I need to update my address with YEU AGAIN?! 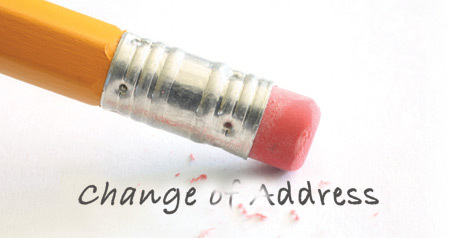 Have you recently moved, gotten married or divorced, changed your name or gender? Did you know that Canada’s privacy laws do not allow your employer to pass on any updates to your info? If you are receiving union newsletters at an old address, please make sure you call us or email the change of info ASAP. We’ll do our best to get it changed for you right away. Oh dear. You HAVE contacted us to make the change and you’re STILL getting mail where you shouldn’t? We’re sorry! YEU has undergone a database change in the last year. While it is an improvement in how we manage your information and maintain case records, it’s been a steep learning curve. Rest assured that our database is very secure but we’ll be honest… there have been a few bumps in the road as we implement the new system. Some of you have called us already (sometimes more than once, gulp!) to change your info. We genuinely apologize if the change didn’t “take” at our end! Please take a few minutes & give us another chance to make it right. There are several ways we stay in touch with our members. There’s the monthly hard copy newsletter, our website, a blog and an active Facebook page. We encourage you to sign up for the blog; you’ll receive emails when a new post goes up (at most 2-3 times per week). The blog often has articles that are not featured in our newsletter as well as information shared from around the web. If you don’t like receiving your newsletter in hard copy we can sign you up for an electronic mailing list that will forward a link to the online version instead. As we work out the kinks with our new system please be patient… changing information on the email database list does not automatically trigger a change in our main database. Aaaaaahhh, technology!